The following paid careers and volunteer positions provide opportunities to work with domestic animals. Animal-assisted therapy providers bring animals (usually cats or dogs) to patients in hospitals and nursing homes. These therapy animals bring psychological and health benefits to those who are injured or ill. In some cases, animals are also used for physical therapy. For example, grooming a pet provides the opportunity to improve fine motor skills. Therapy animals may also be brought into classrooms for educational purposes (helping students learn about animals) or to increase student motivation and participation in group activities. Attendants at kennels, animal hospitals, and shelters provide day-to-day care including feeding, watering, bathing, grooming, and exercising the residents, as well as cleaning their cages. They offer companionship and social interaction, and are vigilant for signs of illness, injury, or distress. There are paid attendant jobs, as well as volunteer opportunities at animal shelters. Educational requirements vary based on the individual job and training is generally provided on the job. 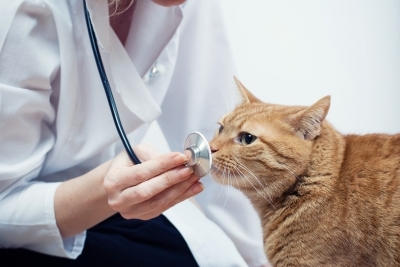 Therapeutic consultation for domestic pets is a rapidly growing career field. An animal behaviour therapist usually holds an advanced animal sciences or animal behaviour degree. Pet therapists observe animals, identify issues, and use research-supported strategies to address complex psychological and behavioural problems ranging from compulsiveness and anxiety to aggression and house soiling. Animal control officers investigate animal cruelty claims and inspect pet shops, kennels, and other places animals reside to ensure that they are treated humanely. They also rescue trapped animals and enforce license laws. Educational requirements are variable, but usually include a high school diploma and, ideally, courses in animal science and criminology. Training is provided on the job. Animal trainers are required for shelters, movies, television, animal shows, and service dogs. Education and training varies based on individual job requirements, though higher education is not usually required. Training programs and certification are offered by various organizations. Animal lovers with plenty of time and sufficient financial resources may wish to start either a for-profit pet boarding service or a nonprofit shelter for homeless domestic animals. See Starting an Animal Shelter for more information. The demand for pet sitters and dog walkers is growing. There are no specific education or training requirements, but liability insurance and bonding are essential. Animal groomers work at shelters, kennels, pet supply stores, grooming businesses, and their own homes. They groom dogs, cats, and in some cases, other animals. There are many pet grooming schools offering courses both in person and online, and training may also be obtained on the job. While there are no specific education requirements, a degree in photography is beneficial. Photography positions are popular and there is a lot of competition for these jobs. Becoming a veterinarian requires four years of college with a focus on science, mathematics, and animal-related courses, followed by four years of veterinary school. Competition is tough, good grades are required, and significant animal experience (research, farm, animal shelter, veterinary assistant, etc.) is an asset. A veterinary technician’s role in animal medicine is much the same as that of a nurse in human medicine. Requirements include graduation from a veterinary technician program and passing a state certification exam. Veterinary technicians work at shelters, farms, animal hospitals, and anywhere else veterinarians are required. For kids: Careers with Animals, The Humane Society of the United States by Willow Ann Sirch. Reference: ASPCA (2009). “Animal Careers.” ASPCA.org.